Before moving to the U.S, I never ate a pupusa or heard about the Day of the Dead celebrations with calaveras and papel picado. I also didn’t know what “no manches” or “chapina” meant. I have enjoyed learning about other Latino traditions different than mine and get excited when I see the similarities of our culture between Latino people from different nationalities. There are many traditions that we all Latino share and make us unique. And the following list of children’s books highlight some of those traditions very well. Hispanic people generally use two surnames: the paternal surname and the maternal surname, this is one of the misunderstood characteristics of the culture and this book has been a great resource to teach why this is so important for us. Oh the abuelitas! They are very important in the Hispanic family structure and have a strong influence. I love how this adorable book portrays the love, wisdom and care that our abuelitas are famous for. The sayings will make you smile and take you back to your fondest memories with your grandmas. What an inspiring and encouraging book celebrating a child’s uniqueness! Marisol McDonald spoke to my children’s hearts in so many ways. This is definitely a must-have book in every family’s library. 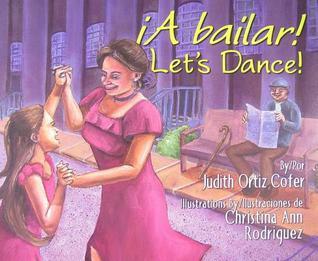 This is a book that brings joy and nostalgia to the Latino reader. Their catchy songs will take them back to their childhood and will make them sing again. It has been a great resource to teach my kids about the songs and rhymes that I grew up with and continue the tradition. Latinos value the interaction with their extended families. This book helps the reader to understand why family is everything for our culture and how poverty and immigration impact us. The illustrations are bright, colorful and breathtaking. This beautifully illustrated picture book has a profound message about love, helping each other and how hard times can be work through. I appreciate how the mother is portrayed as a hard working woman and how the child help at her work. This book has been a great resource when I want to explain the role of children in the family’s business and the importance of strong communities in the Latino culture. This book is a great resource to explain the non-Latino readers how soccer can be a passion in our culture and seen as an opportunity to overcome poverty. The story touches many social problems in Latin America like poverty, gender equality and children having to miss school for work.